Get A Free Ride To Any Event On Us! 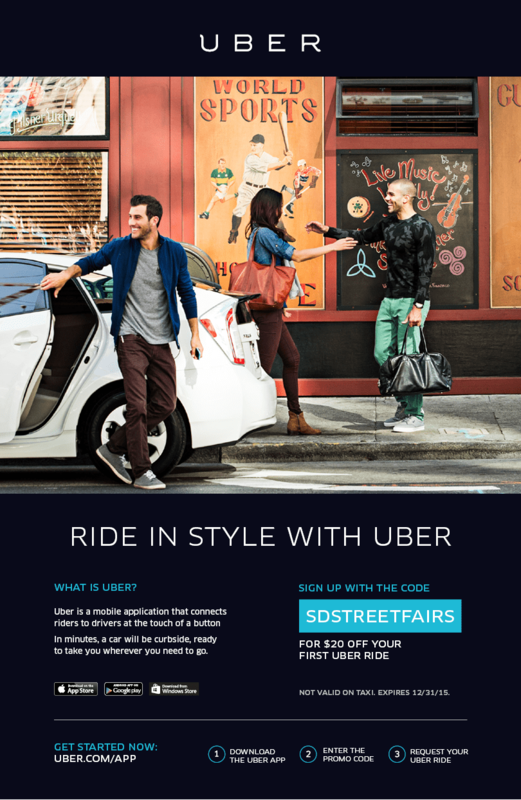 We’re teaming up with Uber so you can ride with ease to events. Uber is an app that allows you to request a ride with the tap of a button. Drivers arrive curbside in just minutes, you can track the arrival of your ride on your iPhone, Android or Blackberry and payment is charged directly to your credit card on file.